Several years ago, Jack Hood found himself a single father to four children living in a small house trailer. His youngest son, Colby was born with cerebral palsy and scoliosis, requiring round the clock medical care. Jack made the difficult decision to quit his job so that he could be trained and provide the in-home care that Colby needed. It soon became clear that Jack needed a larger home where he could maintain a separate germ-free environment for Colby and house all of his medical equipment. Jack was connected with Muncie Habitat to possibly provide such a home for his family. Jack was approved to partner with Muncie Habitat in 2008. He arranged care for Colby and his other children so that he could spend long days at the construction site helping to build his new home. Finally the day came when Jack moved his family into a brand new home. He and his other children could have space of their own, and he could create an environment suitable to the medical needs of Colby. Habitat is not the hero of Jack’s story. But it has been indispensable. There are more men and women like Jack Hood in our communities who have strength enough to bear up under crushing loads – but with a small bit of help, could do more than just bear up—they could move that load. They deserve our respect. There are many things that Colby will never have. 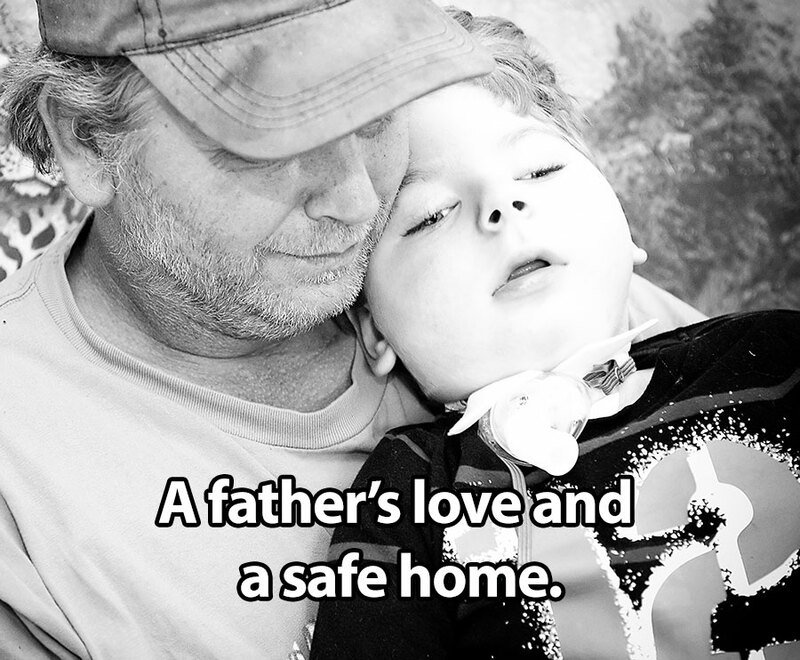 But there are two things he will always have: a father who loves him with literally everything he has, and a home where he belongs – where he is safe. And in those things, if nothing else, he is a rich boy…and mightily blessed.